There are many high paying CPM ad networks which can help you earn a fair amount of money on Auto-pilot. 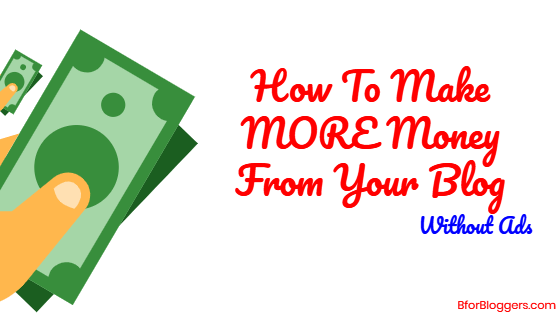 Even hundreds of blogs rely on AdSense and guess what, They do make millions every year. Take labnol.org for instance. Why people focus on advertisements to monetize their blog rather than more rewarding techniques and strategies? That’s because it’s so easy to earn money with it! Set it & forget it and money keeps on generating all by traffic with zero manual work afterward. This is one of the most popular reasons behind so many people running Advertisement banners on their blog because they have no time or they are just lazy and unaware of what lies ahead of this same process. There many more ways you can earn real money that can help you sustain your livelihood by generating recurring online income. In this post, we will look into some of the many ways and I will show you some of the best, hand picked for any niche ideas to monetize your content without having to display any Ads on your blog. The real way to earn money online is affiliate marketing. Affiliate marketing has helped me and many more bloggers earn the share of money that is more than any given 9-6 job. If you want to know how much money I earn from my blog, BforBloggers, You should check out my recent income reports. Affiliate Marketing is when you sell a product made by someone else, that isn’t yours. This way, you earn a commission from whoever you refer to if he/she ends up making a lead or a purchase. The commissions earned in doing this are quite impressive and generally range from $1 to $30,000. 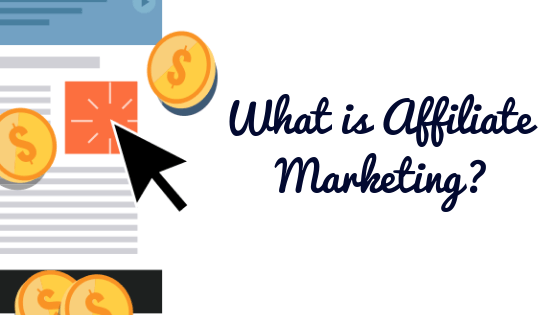 The affiliate marketing is a business model that can be connected with various other conversion models. This way you can expect to earn more than multiples of money you were generating through serving banner ads on your website. All you have to do is join an affiliate program and refer. The amount of revenue you will generate depends on your marketing strategy and skills. 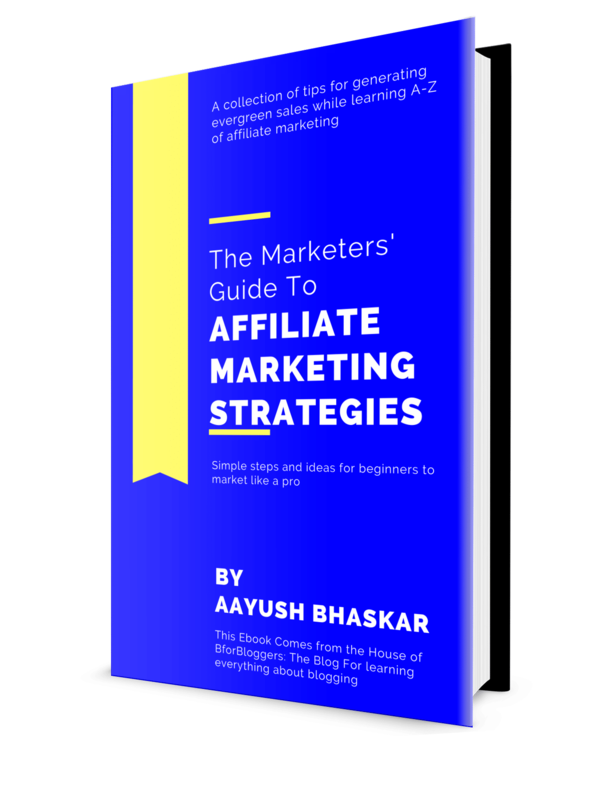 However, this is fairly easy if you pay attention to general profitable tips related and if you have any misconception regarding affiliate marketing, read this. If you are serious about your blog and it’s revenue, you should start doing affiliate marketing. No matter how small-scale it is, it’s still profitable than Advertisement networks. This mode of making money is quite advance. You need to have a little bit expertise and experience for practicing portfolio showdown. Basically, your blog is an online weblog. With this, you can reach out to every corner of the world. So, why not drive more work with it? If you are a great content writer, or you know how to market a particular product better than anyone else, you can showcase your talent by adding a portfolio on your blog. This will work the same way as a normal resume would do. A client will come through one of your blog posts, and he will look for the author (of course if the content is great). Now, you have included a portfolio link on your author bio. The client spots it and makes an offer. That’s how you get your paid job and this process is repeatable as long as you want! if you are a WordPress user, you can use Envira gallery for making outstanding portfolios. I highly recommend this step for photography, graphics, lifestyle and other related niche bloggers. Check out Colin Newcomer, he has a wonderful portfolio where he drives traffic through content marketing (Blog Posts). Many more bloggers curate their “Hire Me” page where they showcase their experience as a blogger as well as the work they can do for anyone looking for a skilled person and of course, in that niche. Writing a Sponsored content is very much similar to doing content marketing for generating affiliate commissions. However, when you are sponsored for content creation, I.e. writing post, you are paid before you publish the post. That’s how you earn money with these content. The payouts are higher than that of an affiliate commision, but it’s not recurring. If you are about to accept a proposal of some merchant to write sponsor posts, make sure you charge a reasonable amount. This amount should suit both of you but the priority should be your satisfaction. The payment you finalize is not accepted, do not write a post. The content you publish is evergreen so is the referral stream. Once a post published will continue benefiting the merchant whereas you will get nothing out of it again. That’s why sponsored content promotion should be handled carefully. If you are good at SEO copyrighting for reviews, you can earn a very handsome amount of money for every single article you write. The best part is, you can actually charge the merchant in advance! 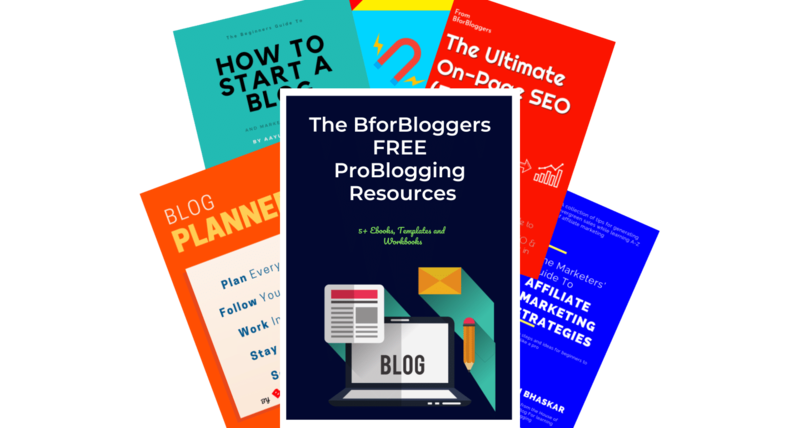 Have you seen the BforBloggers store? That’s where I sell my E-books and other digital stuff. That helps me to earn a straight income of $10 dollars per sale. That means if I can sell 100 E-books a month, I can make a whopping $1000. No shares, No nothing. Every single dime goes to my pocket. If you can create anything, you can sell anything. It could be an ebook or a software. It may be a SaaS as well. The most beneficial and highly profitable way of selling own products is ‘selling courses”. You can easily tailor a short or an extended course for newbies in any niche you want. The only thing you need is genuine experience and proven strategies that will work for beginners. You can sell these courses on your blog and the best part is the income will depend on how you drive more enrolments. Once a couple of students have signed up for a couple of courses, you can easily insert your product, either affiliate or owned, in them. Yaro Starak is a great example to check out. This can be a great idea if you think you can create an expertized group of like-minded people who are willing to help and lift each other. A paid membership site and a paid forum mean only those people will be included who are willing to pay the price. You can either charge a straight one time amount or you can create a subscription-based plan. A very good example of a paid forum is STM affiliate marketing forum. Similarly, you can create a freemium QnA or a community site which allows users to register for free and enjoy premium services as well. The scope for QnA & forum sites is really scalable and You may have noticed how many forums start promoting affiliate products as well. Actually, email marketing turns out to be a game-changer in every phase of making money online. Every subscriber of yours is an asset. That means you can generate profit from each and every subscriber that resides in your list. You just need to set up the appropriate system and see your revenue grow on predefined levels. The process remains simple. Start using one of the free or paid lead generation tools and get your self an email marketing service, the free one if you’re just starting out. Start collecting emails using some ethical bribe, then set up a sales funnel and nail it! If you get close to 1000 subscribers and each of them converts near to $10 each, It means you get $10000 in a month out of nowhere. Many bloggers accept guest posts on their blog only when the guest author is eager to pay for it. This a good way to earn money if you have a high DA and authority site. Unless you haven’t built any credibility yet, you may want to keep it free. After a while when you have built an engaged audience and your blog is quite big enough, you can ask for any amount you like and the guest author may be willing to pay it! The smart way to earn more money and build a foundation of a startup is creating and launching a product. It may be a SaaS, Software, Web-based tool, Extensions, Plugins, themes, and anything!.. phew. Sounds like a “for professionals” version? It isn’t that complicated. You don’t have to be a developer, coder or a front end designer to create a product, you have to do what you’re good at. Create engaging content. If you have a friend who’s awesome at marketing and you know how to do coding, you are all set for a startup. You just need to find a right partner to collaborate. The only thing you need to have is an idea. Once you know what kind of product you can market and make a profit from, go on an grab a developer from various freelancing sites like freelancers and Fiverr. Start doing content marketing then and attract visitors to your product. Make them fall in love with it, show them how useful and different your product is. Podcasting is a great way to connect with your audience. It is even more effective in increasing product sales but what its way more easy to monetize and effective in getting sponsorships. If you can start a podcast that will be listened to by a good number of people, let’s say 10K listeners per month or more, you will get sponsors all over your email. Companies and brands from your niche will reach to you with partnership offers. Many bloggers are slowly starting their own podcast. Not only it helps you to make money, but it also helps you to build credibility and an engaged audience. From here, it’s up to you. Tell me about more ideas and different, interesting ways you think one can make money online without displaying any Ad from a blog. Don’t forget, you need to share this one! Thanks for the info aayush. We can make money via affiliate marketing, its known. But now I think podcasting is good to try out. Affiliate marketing and Podcasting are good for making money from blogs without Adsense. Thanks Aayush for writing. Ads are always annoying, That’s why Readers using AdBlock. I have removed ads from my blog. It was looking too spammy. affiliate sales and paid reviews worthy in my case. I am on my way to make a clone of Techcrunch and mashable without ads. Anyway your article is Useful and Followed You..